By olduvai in Geopolitics on March 22, 2019 . 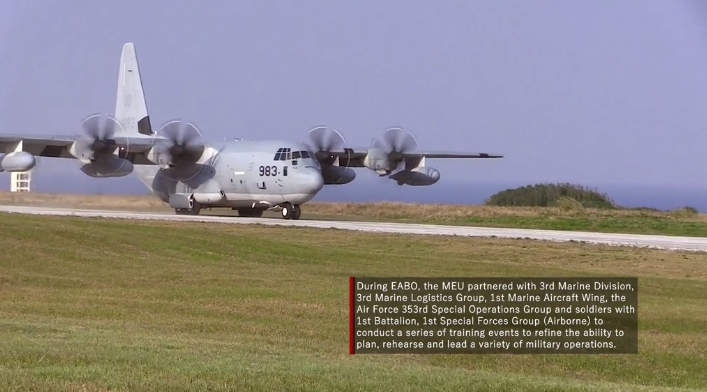 The 31st U.S. Marine Expeditionary Unit (31st MEU) seized a tiny island and airfield with special operations airmen and soldiers as part of a new island-hopping strategy. Last week, 31st MEU, backed by the 3rd Marine Division, 3rd Marine Logistics Group and 1st Marine Aircraft Wing, members of the Air Force 353rd Special Operations Group, and Army soldiers with 1st Battalion, 1st Special Forces Group, conducted a series of simulated military exercises attacking and seizing Ie Shima Island located off the northwest coast of Okinawa Island in the East China Sea, reported Task Purpose. 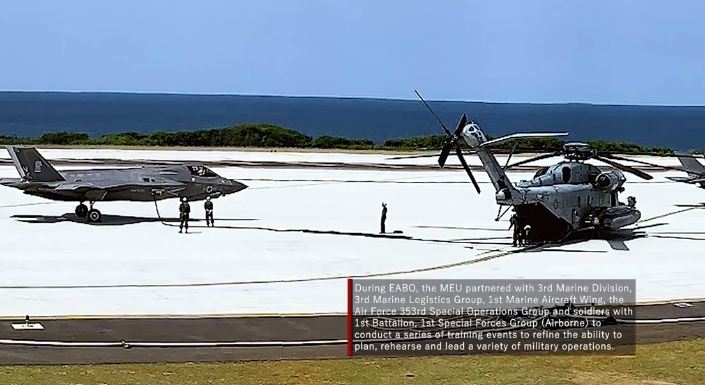 The new military strategy, known as Expeditionary Advanced Base (EAB) Operations, will allow Marine units to seize, establish, and operate multiple small bases across the Pacific Ocean, a tactic that will be beneficial in a high-end fight with China. 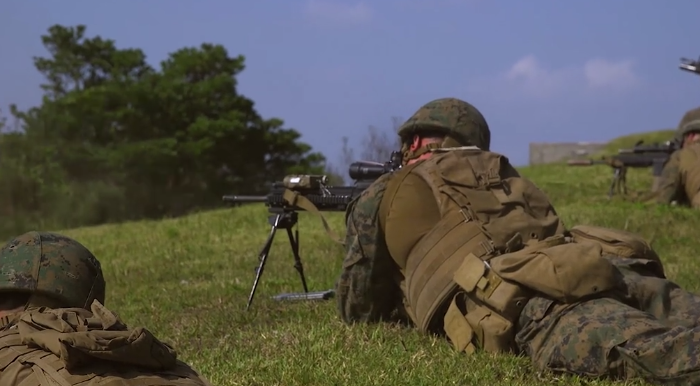 During the exercise, special forces seized the island’s airport, 31st MEU then established a Forward Arming and Refueling Point. 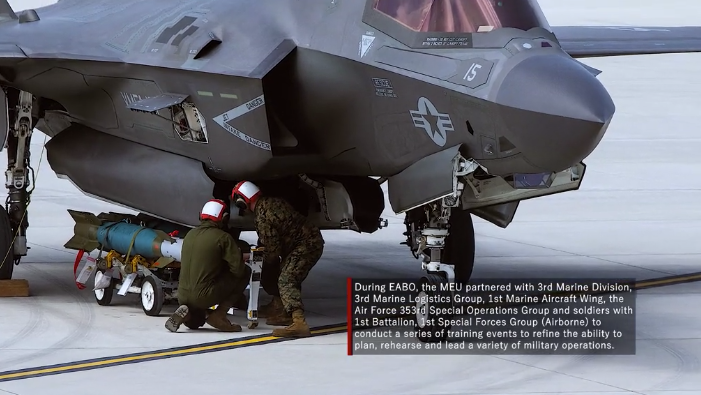 Marine Corps F-35B stealth fighters patrolled the island’s perimeter while C-130J Super Hercules transport aircraft delivered heavy artillery pieces. M142 High Mobility Artillery Rocket Systems were hauled in by the transport aircraft, carried out simulated long-range precision fire missions while stealth fighter jets conducted strikes with guided munitions. 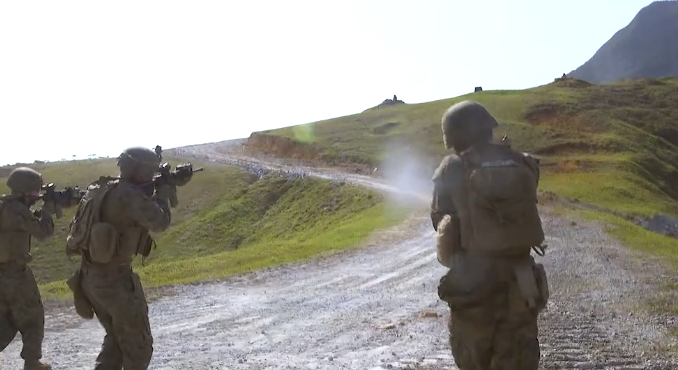 “This entire mission profile simulated the process of securing advanced footholds for follow-on forces to conduct further military operations, with rapid redeployment,” the Marines said in a statement. 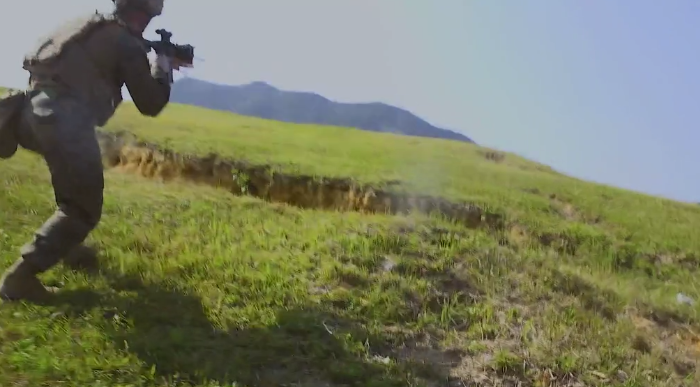 Task & Purpose said the EAB exercise is an updated version of the WWII-era island-hopping strategy.